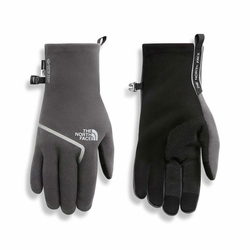 The North Face Gore CloseFit Fleece Gloves. Say goodbye to cold hands that are of little to no use; these lightweight and streamlined multi-season gloves feature an ultra-durable, windproof, three-layer shell and a soft, brushed-fleece lining for versatile warmth during wintry hikes. Now, you’ll actually be able to turn your keys in the ignition once you get back to the car.